Equestrianism is an extremely popular and healthy activity for people of all ages. It is a diverse and family-friendly sport and is one of very few sports where men and women compete on an equal footing. Studies show there has been a small decline in regular riders and that there remains a strong gender bias, with females representing 74% of the riding population. At Metro Physio we have a significant amount of experience in assessing and treating both amateur and professional athletes and have provided physiotherapy for a variety of equestrian abilities. 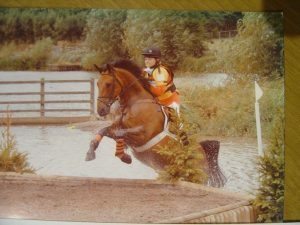 Horse riding and equestrian injuries are mainly due to falls and most often occur to the arms when riders try to break a fall. This normally means significant traumatic injuries ranging from simple sprains and bruising to fracture, concussion and in very rare occasions death. Lower extremity injuries involving the knee, ankle and foot are more frequent in the stable environment and when working on the yard while handling, grooming or feeding the horse. The lower back is somewhat susceptible to strains from lifting and handling. Many injuries can be healed with rest though the more serious injuries require surgery and a lengthy rehab period. Most equestrian injuries cannot be fully prevented but the seriousness of the injuries can be significantly decreased. All riders should ensure they use all the correct equipment and that it meets the approved safety standard. It should be used at all times when mounted on the horse, maintained and inspected thoroughly before venturing out. Body-protecting gear can also be used to decrease the potential severity of injuries. Factors which can lead to repetitive strain injuries are poor posture, inelastic muscles, weak muscles, muscle imbalances and poor core stability. If you notice that your muscles are tightening up, the use of a foam-roller and deep tissue sports massage can help. Muscle imbalances, weak muscles and poor stability can also lead to injury so if you feel you are developing this, you should get it checked before injury occurs. All our sports massages and injury prevention assessments are conducted by qualified Physiotherapists and Sports Rehabilitators who have an excellent understanding of anatomy and physiology. Most of our therapists are involved in sports and are fully aware of the pressures associated with training for an event and being fit to compete. Alongside Physiotherapy treatment our therapists can give guidance on when to return to competing and alternative strategies. 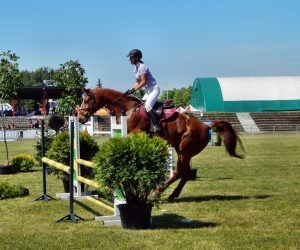 Correct training and guidance is vital in all equestrian events and injuries often occurs when there are movement fault patterns or when a muscle group is over-trained. A thorough assessment of the rider’s biomechanics and an understanding of the demands of the event help to formulate our treatment plan to ensure optimal recovery. Treatment sessions will be tailored towards the individual and the injury, but will typically consist of the following techniques; deep tissue massage, interferential therapy, deep frictional massage, trigger point release, joint mobilisations, myofascial release, Ultrasound Therapy, acupuncture, proprioceptive neuromuscular facilitation, taping/strapping and a specific tailored exercise programme. 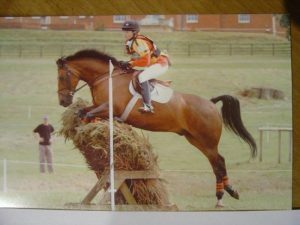 Our Equestrian expert is Briea Denney who was a competitive eventing rider up to national level and competed up to youth GB in Modern Pentathlon including the discipline of show jumping. She now enjoys helping her mother with the yard and riding leisurely. She has a special interest in equestrian related injuries and is keen to update her knowledge by further studies into Equine Physiotherapy.